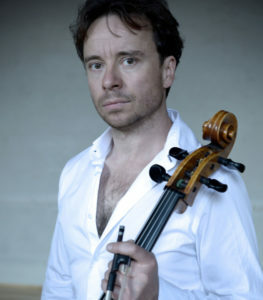 He has not only appeared as an instrumental soloist with London’s leading orchestras, but also sung principal baritone roles with Opera North and the Royal Opera House and acted at the Young Vic and National Theatre Studio. He has collaborated with artists as varied as Sir John Taverner and Dame Shirley Bassey and performed at festivals from Sydney to Toronto and Sao Paulo to Dehli. Not surprisingly, The Times newspaper dubbed Matthew “a virtuoso of the arts”. In St Albans, he will be applying his talent to performing the ‘Cello Concerto No 1 by Dimitri Shostakovich. Composed in 1959, the concerto was written for the great ‘cellist Mstislav Rostropovich and is renowned for its technical difficulty. It is also a powerful, instantly engaging work that was an overnight success in Soviet Russia and rapidly won-over audiences in the West as well. The concerto’s history, written during a productive period in Shostakovich’s life, contrasts with that of his Symphony No 5, which concludes SASO’s programme. This was written in 1937 at a time when the composer’s career and life were under threat from the dictator, Stalin. Only a year earlier, the official newspaper Pravda had condemned a Shostakovich opera that Stalin attended as “muddle instead of music”. Another newspaper article appearing under the composer’s name a few days before the symphony’s premiere described it as “a Soviet artist’s creative response to just criticism”. The work was a huge, popular success from the outset, gripping audiences with its dramatic intensity, laced with flashes of broad humour. The finale has all the stirring elements of a joyous, victory celebration. Since the fall of Stalin, however, critics have become increasingly convinced that the symphony was written with a strong and barely-concealed sense of irony. The concert, under SASO Principal Conductor Tom Hammond, will open with another work celebrating hope over tyranny: Malcolm Arnold’s Peterloo Overture, commemorating the massacre of peaceful protestors by cavalrymen 200 years ago outside Manchester.